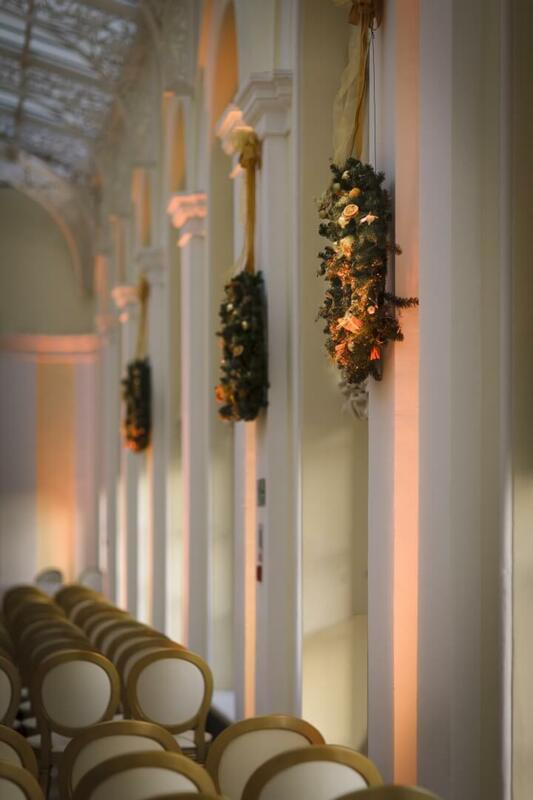 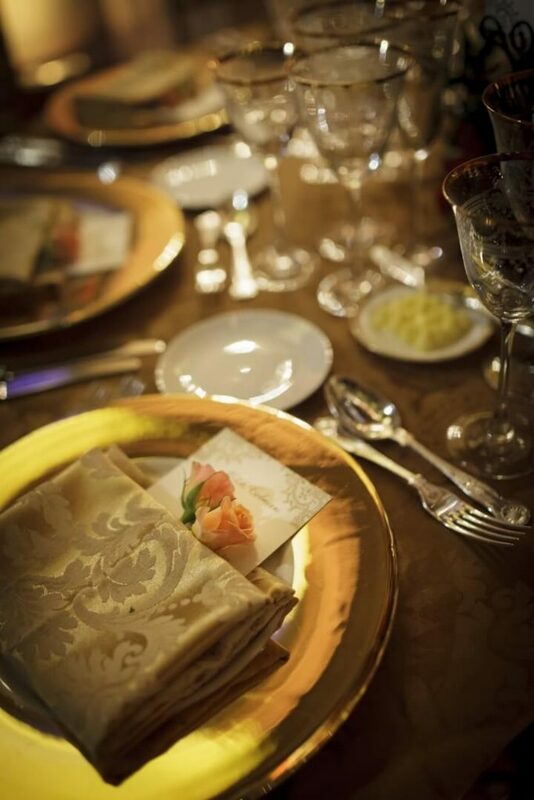 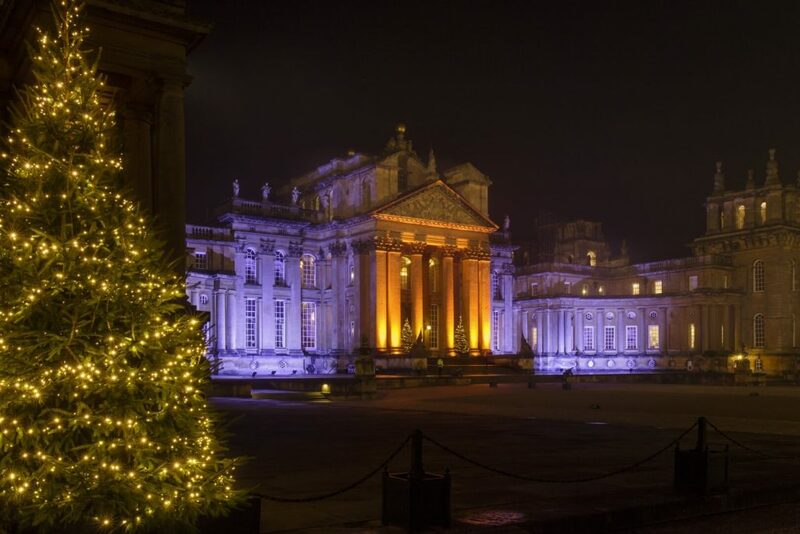 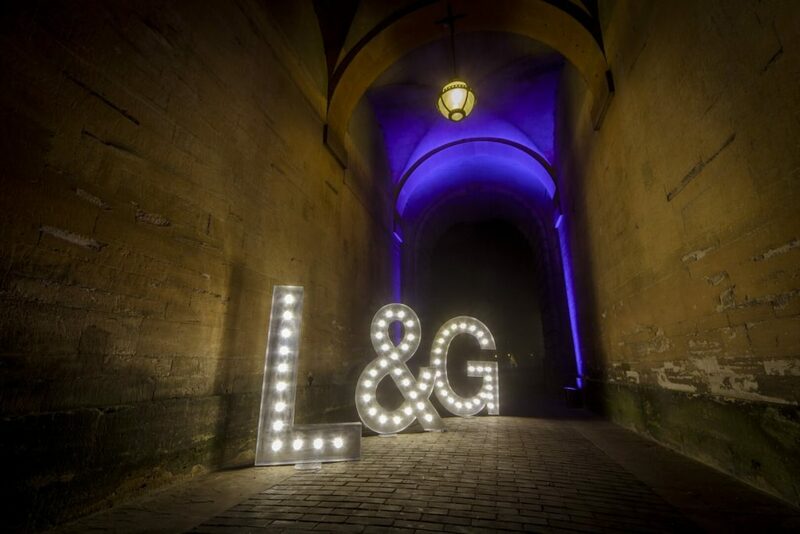 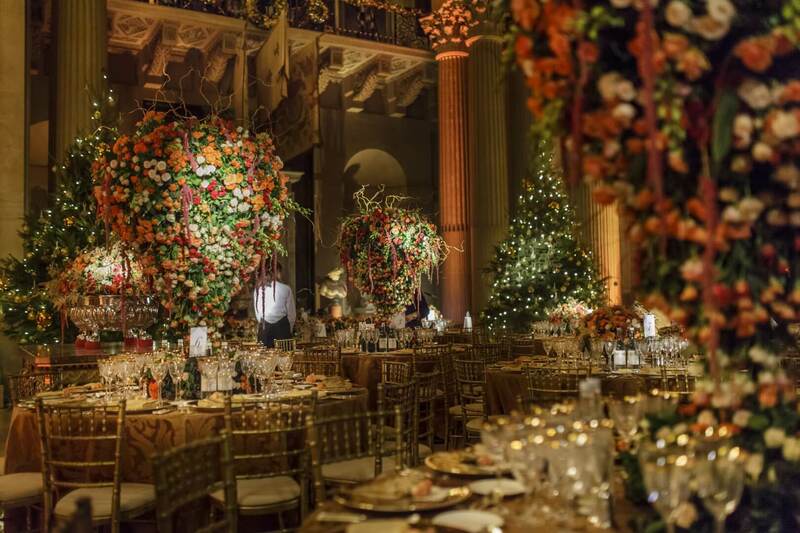 This stunning wedding took place in the winter months at Blenheim Palace with a brief that not only combined the British and Indian cultures of the couple but was also sympathetic to the changing seasons outside. 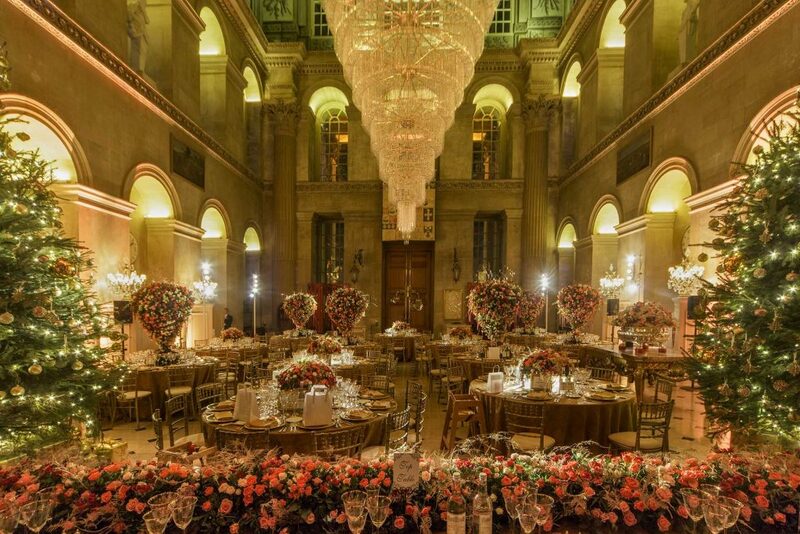 With exclusive use of the venue, this couple had vision, a guaranteed beauty was everywhere – from the corridor to The Orangery and The Great Hall to the marquee and then the courtyard. 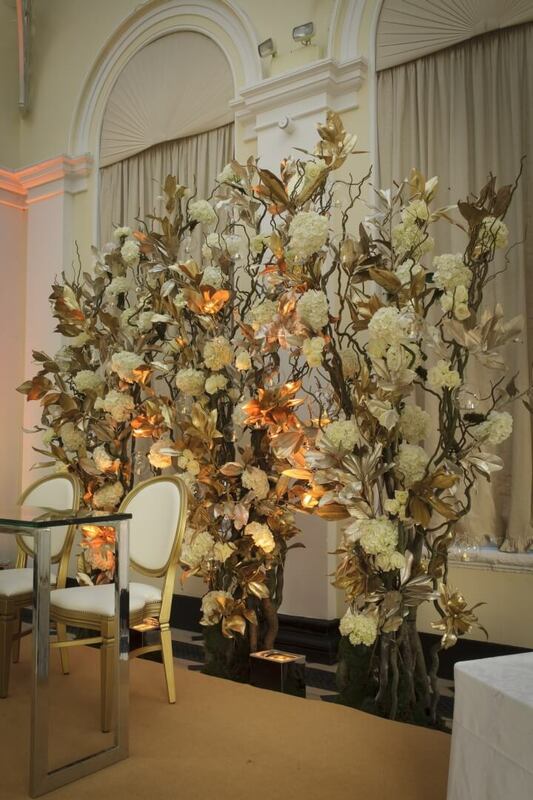 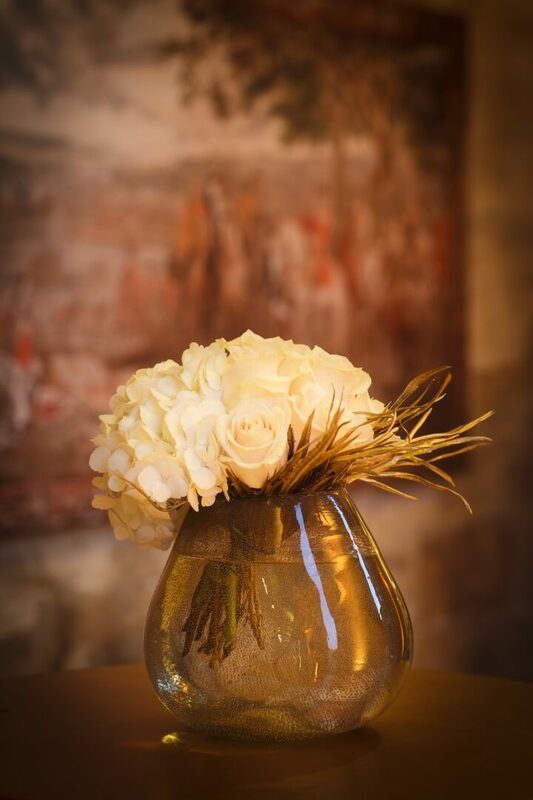 The journey through the seasons begins in The Orangery with a beautiful backdrop of gold contorted willow and white hydrangea in salute of the autumn months. 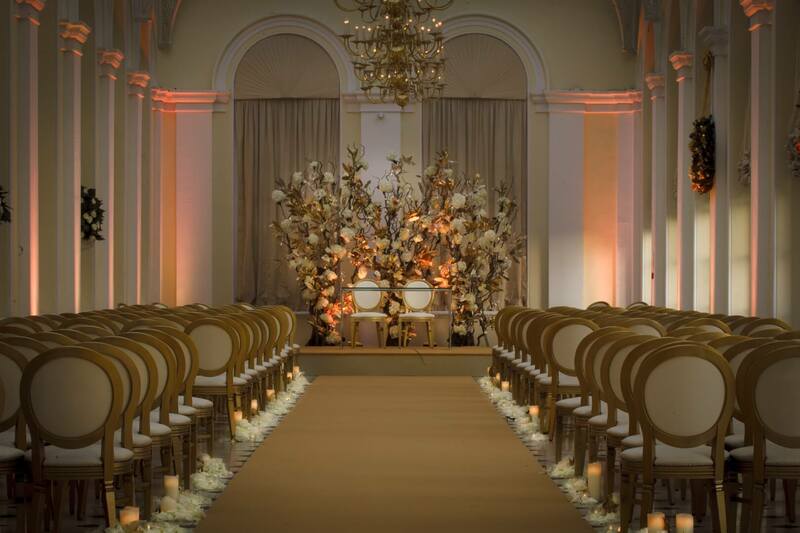 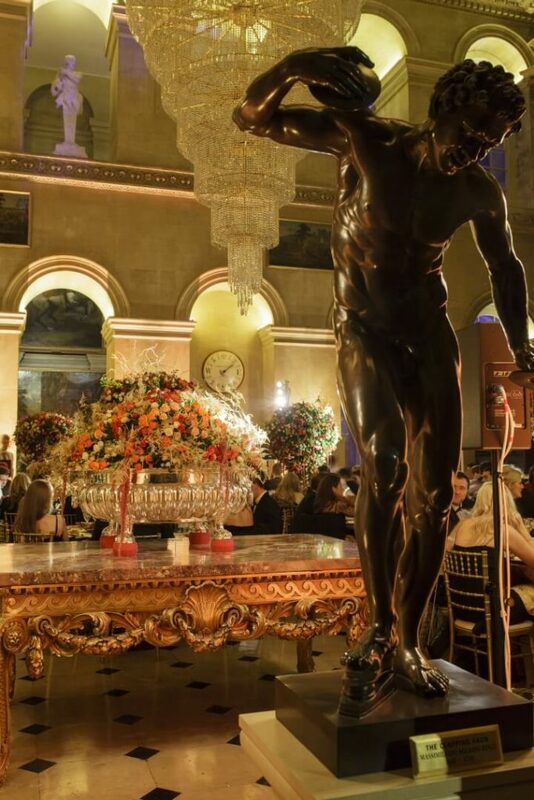 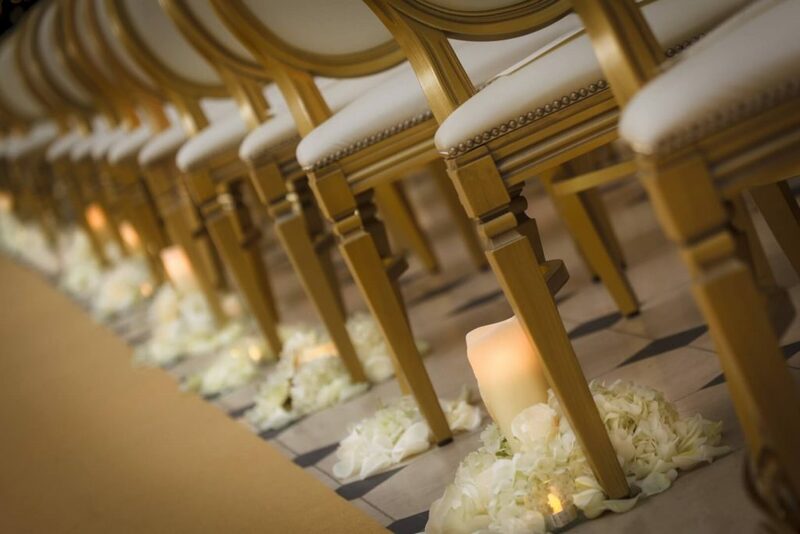 This theme continued down the aisle with ‘puddles’ of white rose petals, gold foliage and pillar candles adding warmth to the cold winter nights. 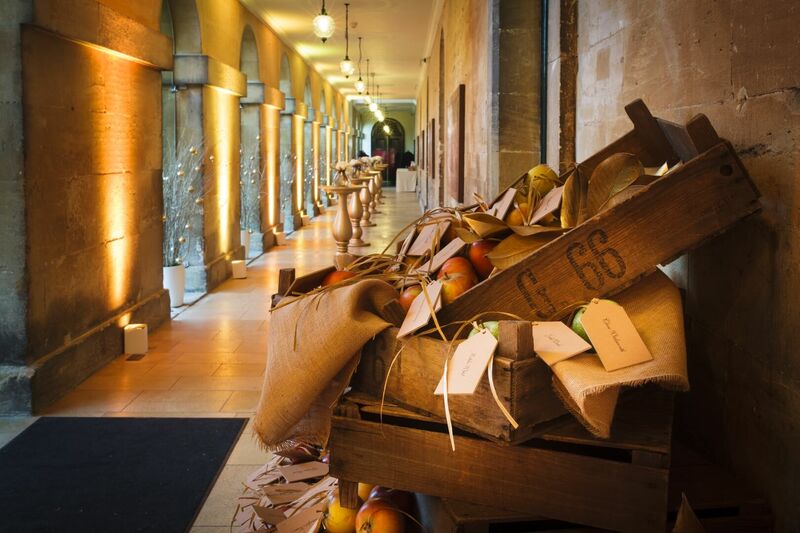 As guests travelled down the corridors into The Great Hall their senses came to life at the sight of fallen apples ‘picked’ and tagged for sharing with friends and loved ones. 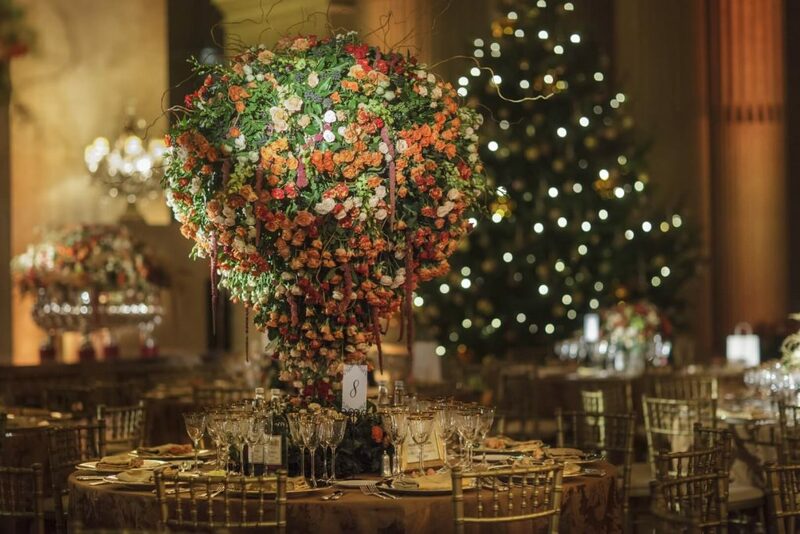 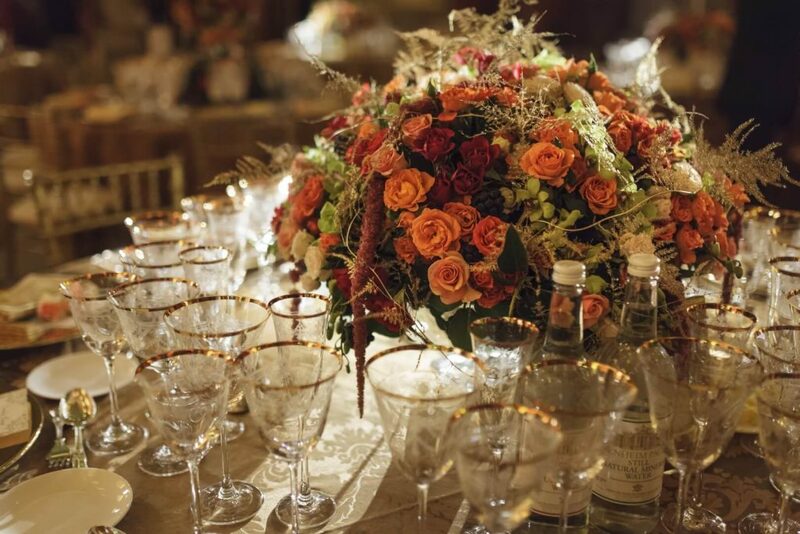 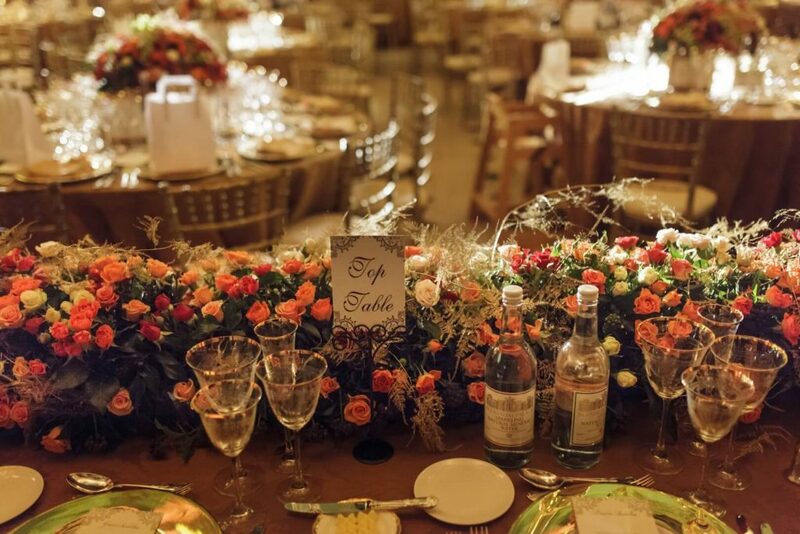 On arrival at The Great Hall guests were transported into an autumn meadow full of evergreens and table centres rich in bright red and orange spray roses adorning purpose built tree structures, lending a touch of Indian vibrancy to a very British Autumn. Once the wedding breakfast was complete it was onto dancing and what better place than a winter wonderland for such an occasion. 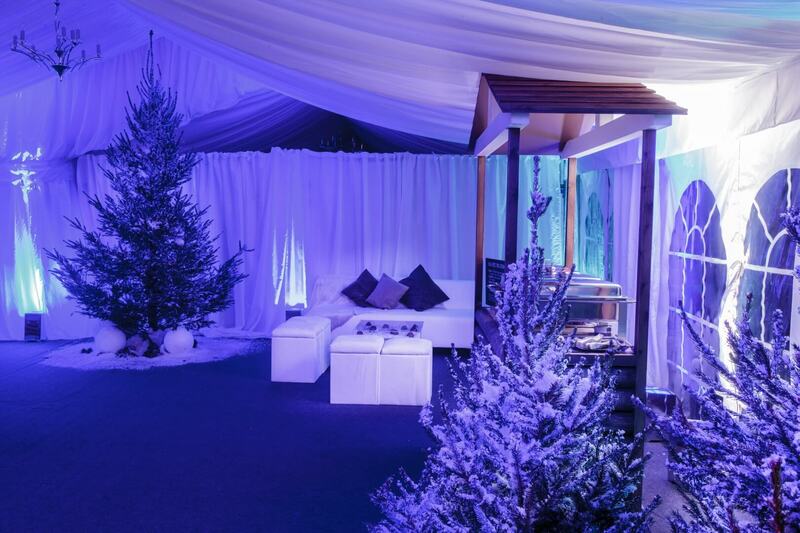 Inside the marquee guests were propelled deep into winter with snow-capped Christmas trees and a winter grotto photo booth for fun and games at the end of the evening.